If candy is supposed to be bad for your teeth, clearly nobody told Buddha. One of his teeth has been surrounded by Kandy for hundreds of years! 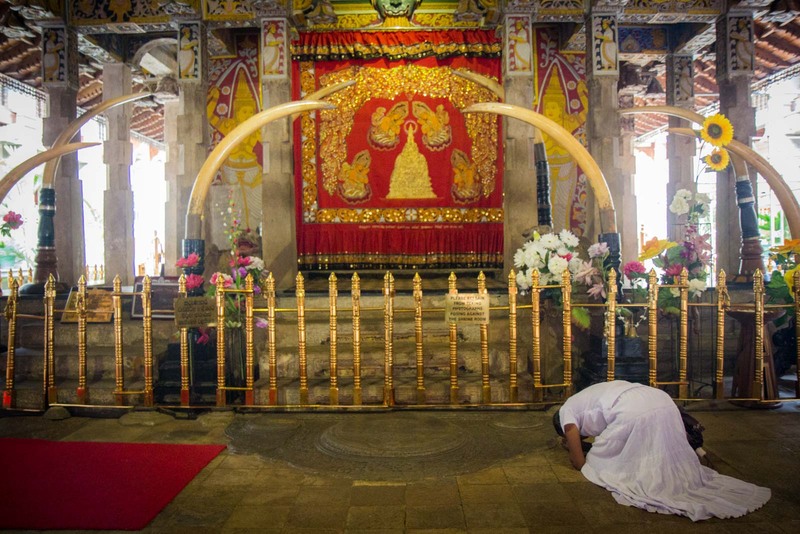 The Sri Lankan city of Kandy is the most important religious site in the whole country. Centuries ago, it played a critical role in the spread of Buddhism from India across Asia. Today, it is still a beacon for pilgrims who make their way to the famous Temple of the Tooth to find comfort in their deity. It’s a hot afternoon when I join the crowds making their way into the temple. I take off my shoes outside and the heat of the stone ground radiates through my thin socks. Quickly, I scurry towards the entrance and jostle my way into the line that’s filing across a small bridge towards the main building. On the other side of the bridge, two men at a little stall are selling offerings – flowers, mainly. These aren’t for the tourists. Although there are a few of us foreigners here, the majority of the crowd are locals and they’re here to worship. Most are, by this stage, carrying some flowers or other kind of gift. Inside, I’m not quite sure where to look. The building’s interior is decorated beautifully – a fluid mix of limestone, marble, wood, terracotta and even ivory. On the beams and the ceilings are sculptures of dancers and acrobats and animals. But every time I try to look at the decorative motifs, I am distracted by the people. They are much more interesting. 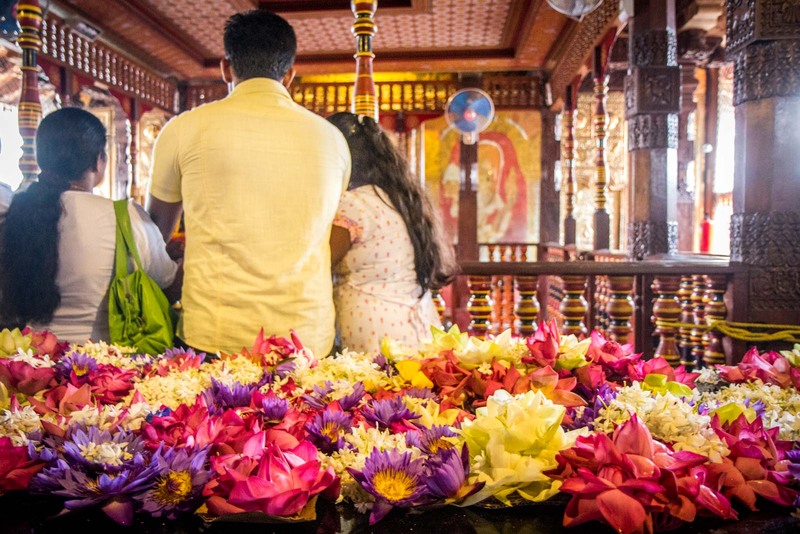 The pilgrims to Kandy’s Temple of the Tooth today span generations. Middle-aged men sit cross-legged by the walls and watch the scene in front of them – how long have they sat there for? And children are carried wide-eyed or cling to the hands of the parents as they stare around at the throng. I wonder about the children. For many, this could well be their first visit to the temple. They are in their finest clothes – certainly not what they would be used to wearing. They have probably been told many stories about this place and the importance of coming here and asking for a long and happy life. Maybe it’s a bit scary to think that behaving the wrong way here might affect your future. Or maybe it’s exciting to finally see everything for yourself, after hearing your family talk so much about it. What do they think of the story of the tooth? In fact, what does anyone think about it? The story is that the actual tooth of the Buddha was brought to Sri Lanka in the early part of the 4th century. 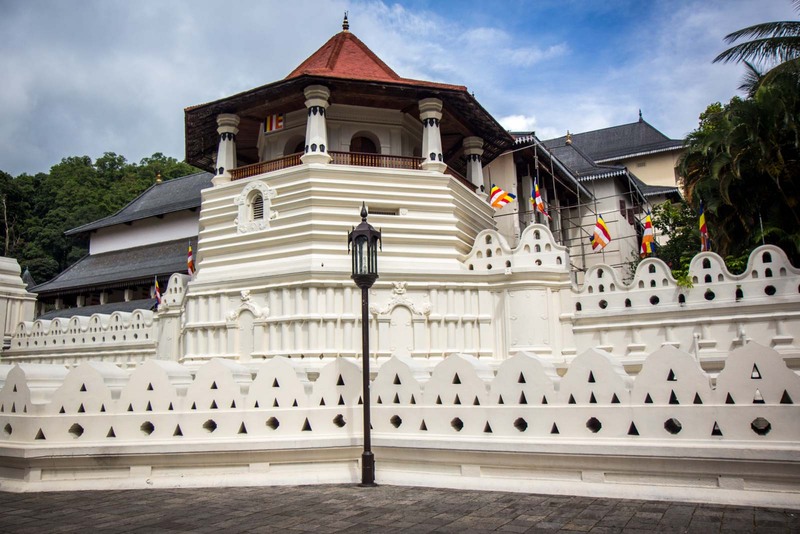 It came from a place called Kalinga in India and, after having been moved around several times up to this point, was finally settled in Kandy. The funny thing about religious relics, though, is that there is no way of knowing for sure if they are real. Some of the Christian saints must have had 15 fingers if you believe all the people who claim to have one. And that’s assuming that the people and deities these relics supposedly come from even existed in the first place! So maybe this is the tooth of Buddha and maybe it’s not. The temple has kept it locked away in a shrine, far away from sight, for so long that you just need to have faith. And that’s what all these people around me are demonstrating. Where should you stay in Kandy? There's a wonderful hostel called 2in1 Kandy if you're looking for something budget. For a friendly hotel that's great value for money, try Cloud Inn. A lovely property in the hills around the city is The Richmond House Kandy. For something a bit special, Sky Pavilion offers some of the best views in town! Time Travel Turtle was a guest of Sri Lankan Airlines and Cinnamon Hotels and Resorts but the opinions, over-written descriptions and bad jokes are his own. 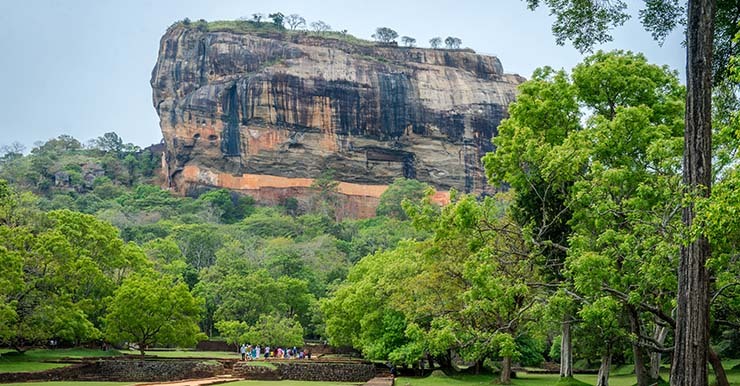 Beautiful post and imagery Michael, I loved seeing this place and visit through your images and explanation to this important temple in Sri Lanka. Yes, I agree with Noel, beautiful imagery, I love your website and writing style. You rock! Thanks Cacinda. I think it’s so easy to write about a place as interesting as this. It was fascinating just to see all the people coming to worship, wasn’t it? Love the elephant engraved in the stone. Great post! It’s beautiful isn’t it? That was on the outside wall near the entrance. The inside is also very detailed with some wonderful designs. Your writing style is very observant and fun to read! I have visited the Temple of the Tooth and my reaction was the same as yours-so much hustle and bustle amidst the beauty of the temple. But I feel the whole of the Kandy city to be of a similar air except the Bungalow we stayed at, which was surrounded by nature and an air of calm. Yeah, the city was quite busy – like most cities. But one of the best things about that part of Sri Lanka is that it’s so easy to find the nature nearby. I’m glad you had a nice calm place to stay. this temple is one of my favourite places in Sri Lanka to visit. you can visit the huge botanical gardens to see various plants especially the giant bamboos and the iconic palm avenue from the grand circle if you go back to Kandy for another time. for your information, the Sri Lankan government is currently extending a tolled highway from Colombo to Kandy and hence I will go back there once the new Kandy highway opens to the traffic in the next few years. in terms of accommodation, I highly recommend you to stay at a 4-star hotel called Thilanka Kandy because of its beautiful resort set ups including the lobby and the spacious and luxurious Royal Pavillion Suites. in addition. there is also a collection of pictures of the past Sinhalese kings next to a lift lobby at the Pavillion suites area as well as the beautiful views of Kandy. most importantly, it is strategically located close to the magnificent lake and the holy tooth temple.